As much as the world did change following that fateful, clear September morning, more research demonstrates that as educators we have failed to truly teach the lessons. Most of our students now will have little to no memory of the events of 9/11. They will have picked up misinformation along the way, in large part because those of us who have clear memories of the day don't really want to talk about it even though we echo the refrain, "Never forget." Cheryl Duckworth, professor of conflict resolution at Nova Southeastern University, conducted research about what American students are learning about 9/11 in schools. She has discovered that most schools really don’t teach anything, and if they do, they focus on the shock of the day and the heroic actions of the first responders and other bystanders. As NPR reported, "‘The narrative about 9/11 that students are getting is really ahistorical,’ says Cheryl Duckworth. ‘It has no context. It's very thin.’ Duckworth surveyed more than 150 teachers and interviewed several dozen in-depth for her work 9/11 and Collective Memory in US Classrooms. Many texts designed for teaching college level courses have included new material discussing 9/11, and there is a growing collection of digital resources available (many are designed for younger ages, but can be adapted to college level work). The 9/11 Memorial website provides very useful timelines that incorporate video and audio clips in addition to images. Other available timelines include the 9/11 recovery and also the 1993 World Trade Center bombing. An additional compliation of resources is available through PBS: The 9/11 Anniversary in the Classroom. As hard as it can be to make it to 2001 in a survey course, we must contextualize the events and aftermath, particularly as it still directly impacts us today. Our students need to understand exactly why we shouldn't forget rather than echo hollow refrains. 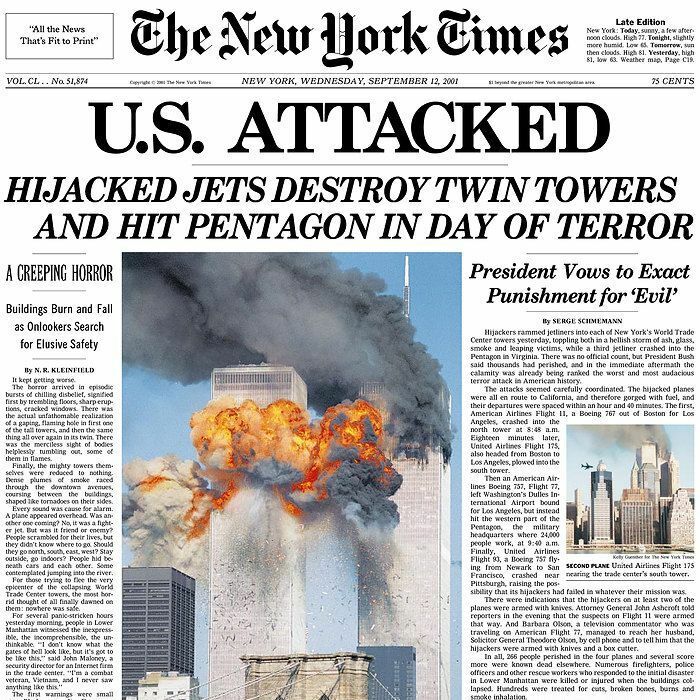 While it is important to recognize that the attacks on 9/11 resulted in the single largest loss of life in the course of a foreign attack on American soil, even more important is the task of helping students understand why it happened and how the American response changed the nation and the world. It may be worth visiting the idea of having entire courses that focus on the event.